All this time reading, when I should be WRITING, DAMMIT! But hang on. All is not lost. Stephen King is riding to the rescue of my beaten, bedraggled, often ignored but unbowed writer’s conscience. If you want to be a writer, you must do two things above all others: read a lot and write a lot. there’s no way round these two things thast I’m aware of, no shortcut. I’m a slow reader, but I usually get through seventy or eighty books a year, mostly fiction. I don’t read in order to study the craft: I read because I like to read. Phew! I’m at least halfway to being a writer. And this is what else I’ve been reading in the past fortnight and recommend to you. ALONE IN BERLIN, first published in 1947 as JEDER STIRBT FUR SICH ALLEIN by Hans Fallada (real name Rudolph Wilhelm Adolf Ditzen). He died the same year. The story is of a couple who, when their son is killed on the Russian front, begin to write and drop postcards attacking Hitler across the city. An insignificant gesture of resistance perhaps, but one that provokes a concerted Gestapo campaign to find and kill them. It’s an exciting and moral story and paints a vivid picture of Berlin and Berliners during their days of complacency and then anxiety as the war begins to turn against Germany. It also addresses those questions like – What would I do? What could anyone do? What did anyone do? We don’t tend to hear much about the small ordinary acts of heroic resistance by Germans to Nazism. Perhaps because it conflicts with the idea that all Germans were complict – along the lines of Hitler’s Willing Executioners by Daniel Goldhagen. Or perhaps because it undermines the defence that the masses were swept along, ignorant and innocent of the evil deeds of a few – along the lines of the film The Nasty Girl (Das schreckliche Mädchen). People did know – some acted with honour and humanity. Bit like today. These things are known to be true: dozens of Nazis and Axis collaborators sought refuge in Ireland following the Second World War; in 1957, Otto Skorzeny [the German paratroop leader who dramatically rescued Mussolini] was welcomed to a country club reception by the young politician Charles Haughey; Otto Skorzeny purchased Martinstown House in Kildare in 1959; in 1963, in response to a question by Dr Noel Browne TD, the Minister for Justice Charles Haughey told the Irish parliament that Otto Skorzeny had never been resident in Ireland. The rest is just a story. A pint of Rebellion - Too warm? Too cold? Don't care? Care too much? Does shared hatred bring us together more than shared enthusiasm? A character in Reginald Hill‘s book Pictures of Perfection suggests “that when a politician wants to really unite the electorate, he looks for a common hatred rather than a common enthusiasm.” Is he right? I go through three stages with Reginald Hill’s writing. I begin by finding it a bit contrived, then some flash of humour trips me up into enjoyment and by the end I find myself relishing the surprises and satisfaction he offers. So I commend Pictures of Perfection to you – though I think The Reckoning would have been a better title. But back to the hating. Two characters – police officer Wield and bookseller Digweed – overcome their initial antipathy through shared whisky and a discussion about what they hate. It’s a pretty good list. “They’re only doing a job,” said Wield defensively. I have some books I’d like to give away – old (1947), new, mystery, thrillers, Irish,English, French & poetry. 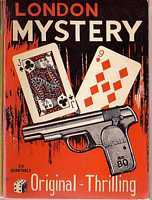 From Pepys and Proust to McGilloway and Haddon – via 1970s London Mystery paperbacks. We’ve done embarrassing stories recently – Sorrygnat and WiseWebWoman came up with a couple. Anyone else fancy chipping in. Perhaps a prize should go to the most excruciating anecdote? Or should it be something new? Best joke/story? A young woman was pulled over for speeding. 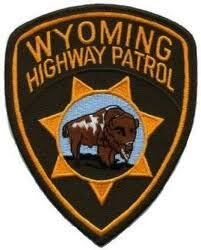 A Wyoming State Trooper walked to her car window, flipping open his ticket book. There was a moment of silence. He then closed his book, tipped his hat, got back in his patrol car and left. Paddy Leigh Fermor Paddy disguised as a German NCO during WWII, when he & fellow Special Operations soldiers kidnapped General Heinrich Kreipen.